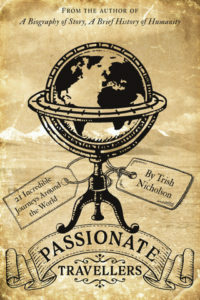 A social anthropologist, photographer and writer of short stories and creative non-fiction, Trish survived careers in Europe as a regional government administrator, a management trainer and an Open University, and Open Business School, tutor, before spending fifteen years on aid and development projects in the Asia Pacific region. During five years working in the West Sepik Province of Papua New Guinea she was also Honorary Consul for the British High Commission. Further years were spent researching indigenous tourism in Vietnam, the Philippines and Australia – research partly funded by the UK Department for International Development. A compulsive scribbler, her earlier writings included a monthly magazine column; newspaper features in the UK (The Guardian, The Times, The Times Educational Supplement) and in Australia (Melbourne Age), and three non-fiction books on anthropology, staff development, and responsible travel and tourism. Twenty countries and a PhD later, Trish settled on a hillside in the Far North of New Zealand and planted a few thousand native trees. 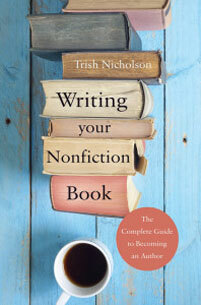 A few years ago she started writing short fiction. Encouraged by a flurry of competition short-listings and a couple of wins – Flash500 and Winchester Writers’ Conference (both stories published in Words With JAM) – she planned to develop her story skills, but was caught up in the digital revolution instead. 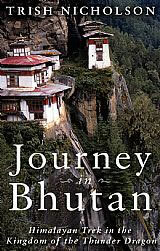 In 2011, she signed with Collca, a UK based epublisher, to write a series of eBooks based on her travels. 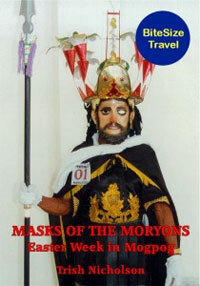 Masks of the Moryons: Easter Week in Mogpog (set in the Philippines) was released in December 2011; Journey in Bhutan: Himalayan Trek in the Kingdom of the Thunder Dragon came out in April 2012. 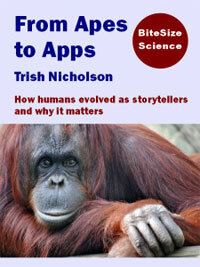 Her next ebook for Collca, wearing her anthropologist’s hat, was in the new BiteSize Science series – From Apes to Apps: How Humans Evolved as Storytellers and Why it Matters, released February 2013. 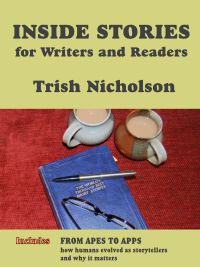 A full-sized volume on creative writing and reading followed, in print and digital formats: Inside Stories for Writers and Readers was release in August 2013. Sadly, Collca is no more. On the sudden death of its founder and innovative managing director, Mike Hyman, in July 2014, we all lost a friend as well as a publisher. 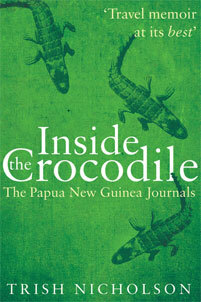 Since then, Writing Your Nonfiction Book: The Complete Guide to Becoming an Author, was released as an e-book and paperback, Journey in Bhutan has been republished as an ebook, and Inside the Crocodile: The Papua New Guinea Journals, a travel memoir of five years in the remote West Sepik province, was published in October 2015 in both paperback and digital editions. 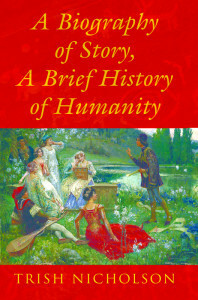 Her latest book, A Biography of Story, A Brief History of Humanity, a cultural history of storytelling from prehistory to the digital age, was published in March 2017 in paperback and special hardback editions. Trish writes full time, is a member of the New Zealand Society of Authors, an occasional guest blogger for NZ Writers’ College, and chirps on Twitter (@TrishaNicholson) when not hiding in her tree house.